Who doesn’t remember the warning in Alice about applying the “abstractness” exclusion of Section 101? “[T]read carefully in construing this exclusionary principle lest it swallow all of patent law.” (Id. at 2354). Many district courts apparently failed to read that part of the Court’s decision. Instead, they have interpreted Alice as authorizing invalidation of issued patents as “abstract” based solely on the pleadings. They have done so even where the invalidation rests on resolution of a disputed issue of fact or of claim construction or scope. This practice is swallowing inventors whole. And, although this over-reading of Alice has been widely criticized, it has often been abetted by the Federal Circuit. A quick look at the statistics bears this out. Of 87 Federal Circuit affirmances of ineligibility, in 55 of them, the lower court had invalidated the patents on the pleadings alone. Of those 55 Federal Circuit affirmances of “pleadings invalidations,” 35 of them were done summarily using Federal Circuit Rule 36: decision “affirmed.” If that’s not unsettling enough, out of all the appeals of “pleadings dismissals” since Alice, the Federal Circuit has only reversed five. I write today to ask for your support in the effort to turn back the tide that is drowning patents and companies. Inventors and American innovation across the US are shouldering the results of this ongoing misapplication of Section 101. These “pleading invalidations” have resulted in the cancellation of hundreds of valuable patents—each one a vested private property right. They allowed the patent-holder no opportunity for fact-finding, claim-construction briefing, or any other of the protections usually afforded them in litigation on issued patents. As former Federal Circuit Chief Judge Paul Michel pointed out to the U.S. Congress in testimony this past July and again this past month, this misunderstanding of Mayo and Alice has placed virtually every inventor and patent holder at risk, while dramatically reducing the incentives and capital for innovation throughout the nation. In short, since Alice, the Federal Circuit has done nothing to clear up the district courts’ confusion, but instead has affirmed pleading invalidations more than 90 percent of the time. Nothing in Alice, or Mayo for that matter, authorized these “pleadings invalidations.” Whether you agree with the decisions or not, both Alice and Mayo, were decided on summary judgment. In Mayo, the Court observed that “at some level all inventions … embody, use, reflect, rest upon, or apply … abstract ideas.” Mayo, 566 U.S. at 71. If that is the case, where do we draw the line for an innovation “too abstract for patenting”? Is that line something a generalist trial judge should be empowered to determine? Even if an invention is built on an abstract idea, “application[s]’ of such concepts ‘to a new and useful end’ … remain eligible for patent protection.” Id. (emphasis added) (quoting Gottschalk v. Benson, 409 U.S. 63, 67 (1972) (emphasis added). Who is the best suited to make the determination? It’s difficult to imagine that should be the generalist judge. Why not one of skill in the art? Why not an expert in the field? At the very least, this question is replete with underlying factual determinations that are being swept under the rug. This week, my client Evolutionary Intelligence LLC filed a petition for certiorari at the U.S. Supreme Court setting forth these questions. However, for the Court to understand the gravity of the situation, Evolutionary Intelligence needs the help of amici. Do recent “pleading dismissals” and “pleadings judgments” of patent ineligibility under Section 101 grounds undermine the principle that patent rights are property rights, entitled to the same respect as other property rights? The district courts’ and the Federal Circuits’ use of Alice and Mayo to deny fact finding in a Section 101 analysis: Like PTAB trials (as in the Oil States case), does this also result in a denial of a jury trial under the 7th Amendment or at least a violation of the Federal Rules of Civil Procedure on the difference between dismissal and summary judgment? The presumption of validity under Section 282 of the Patent Act: Does it apply in the Section 101 context, and should it? Whether and when there is a requirement for claim construction or analysis of claim scope in the Section 101 context, especially when Alice requires a court to determine “what the claims are directed to.” And, is the settled claim construction process being adequately addressed when the court rules on a Section 101 motion at the pleadings stage? District court deference to a PTAB final written decision (under AIA, APA). How should the district court treat underlying factual determinations necessarily made by the PTAB in resolving validity issues presented to it? 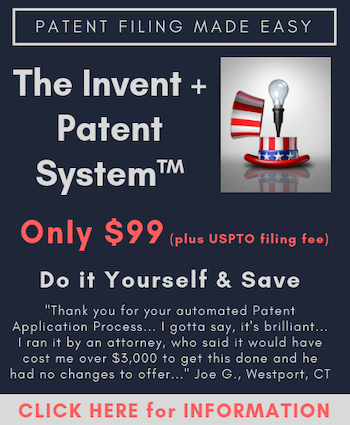 This issue is especially important when a patent, or claims of a patent, survive the PTAB and are back at the district court (as in our case). Don’t those underlying factual determinations mean anything? Additional information, including Evolutionary Intelligence’s certiorari petition, filed on Monday, October 23, 2017, can be found here: http://www.businessdenovo.com/?p=346. Amicus briefs would be due sometime on or after November 22, 2017. Anyone who has carefully studied Alice Corp. realizes that Benson, Flook and Deihr would all have been decided differently under Alice. For example, there were previous patents that antedate Diehr directed to curing rubber using the Arrhenius equation, but using linear amplifiers or discrete logic rather than a generic computer. Then again, who knows. Exceptions under s101 is a cacophony of contradictions. Gut feelings and legal theory trump evidence, or the lack thereof. When is the last time you read about a s101 decision from the CAFC being based on preemption? Hint: I’m sure it was McRO v. Bandai. I am grasping at the concept of a “savings clause” for 35 USC 101 rejections, where if there is an interpretation of the claims that is not “abstract”, then the court could not dismiss at the pleadings stage. Here the non-moving party can put various interpretations on the record, and the Judge must argue that all are abstract, and explain why. “Abstract” should be a law of nature, natural phenomenon, an idea in of itself, geometric relationships, or a mathematical formula or algorithm that expresses any of the above. Once you start calling man-made things “abstract,” you’re talking 102/103, not 101. See the Dred Scott decision and the Slaughter-House cases. I like Meredith’s approach. Getting SCOTUS to admit error is probably not going to happen. So instead, do damage control by trying to keep Alice from being used as a “judicial shortcut” to dismiss on the pleadings. I hope her effort is successful. Watching the bumbling monkeys in black robes attempt to adjudicate delicate issues of technology is an ongoing trainwreck. In a sense, I appreciate what the SCOTUS attempted to do with business methods, i.e., make analogies between laws of nature and fundamental business practices so that people could not just patent a common business practice by adding a computer. Of course, s103 under KSR and Leapfrog would have been the appropriate tool, and still is. “Abstract” is now anything under the sun made by man. I repeat: “Abstract” is now anything under the sun made by man. Meridith’s question: “Don’t those underlying factual determinations mean anything?” is easily answered. Maybe and sometimes depending on which judge(s) is/are reviewing the case, and what they ate for breakfast that day. What do you think happened in Recognicorp v. Nintendo? The Fed. Cir. did not address the “as a whole” requirement under step 1 of Alice. Instead, the Fed. Cir. dissected the claim into two portions, declared both portions abstract, and announced that two abstracts don’t make a non-abstract. MORONIC, SPECIOUS NONSENSE.